Abigail N. Walters is a research associate at the Center for Retirement Research at Boston College. 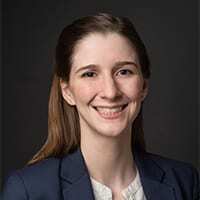 Prior to joining the Center in 2017, Abigail was a research assistant in the Department of Sociology at Simmons College analyzing FDA regulations and women’s medical devices. She earned a Masters of Public Policy and a B.A. in economics and political science from Simmons College.